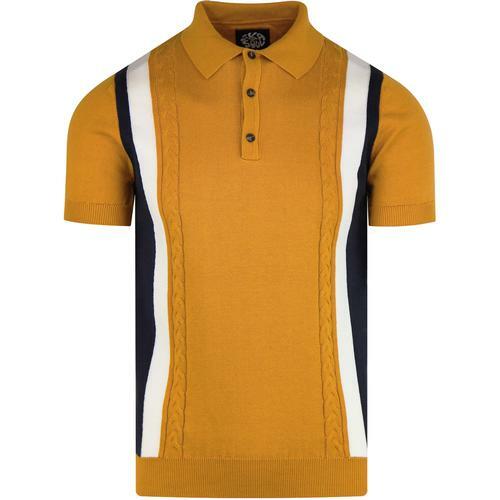 John Smedley 'Klerk' men's 1960s mod Sea Island cotton knit polo shirt in navy with a flash of retro yellow tipping. 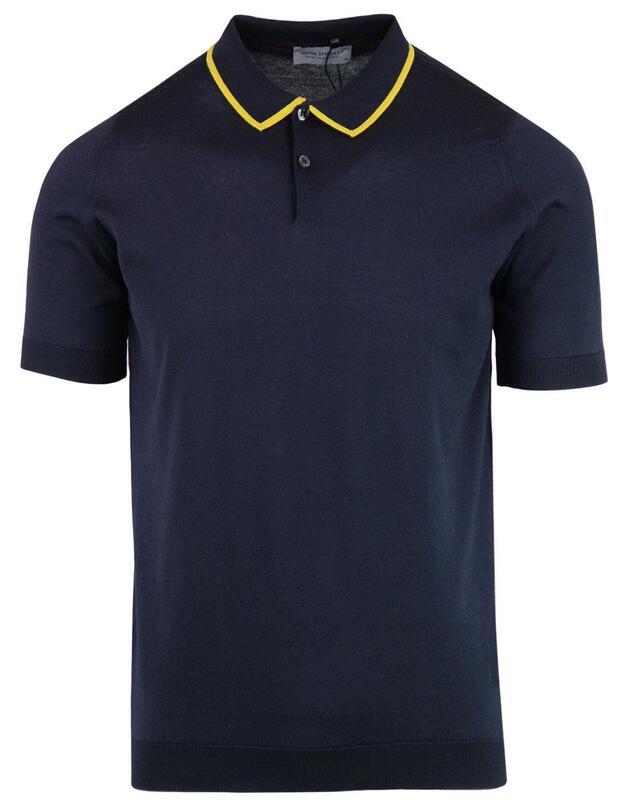 The 'Klerk' tipped knit polo top is crafted in England and features fashion polo collar, 2 button placket and short sleeves. A simple and classic mod style that is finished with a striking retro colour pop tipping. 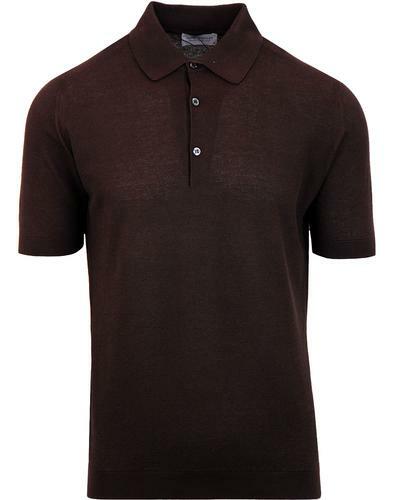 The John Smedley 'Klerk' polo shirt will add a dashing edge to your smart-casual ensemble. A great addition to any Spring/Summer wardrobe. 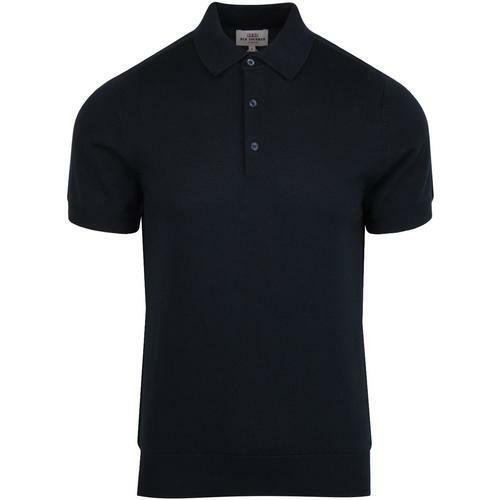 - John Smedley 'Klerk' men's 60s mod fine gauge knit polo shirt in navy. - Retro yellow tipping to collar. - John Smedley standard fit garment. 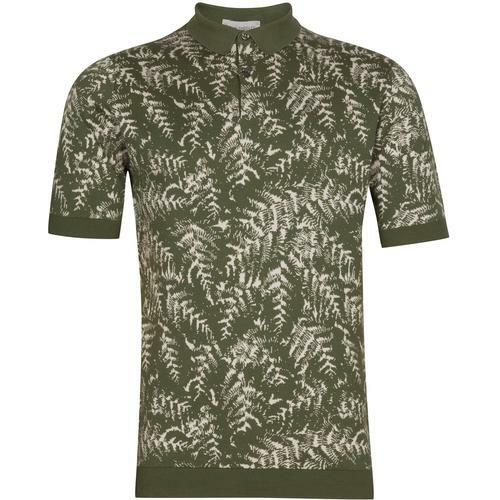 - SKU: Klerk Tipped Polo Shirt.